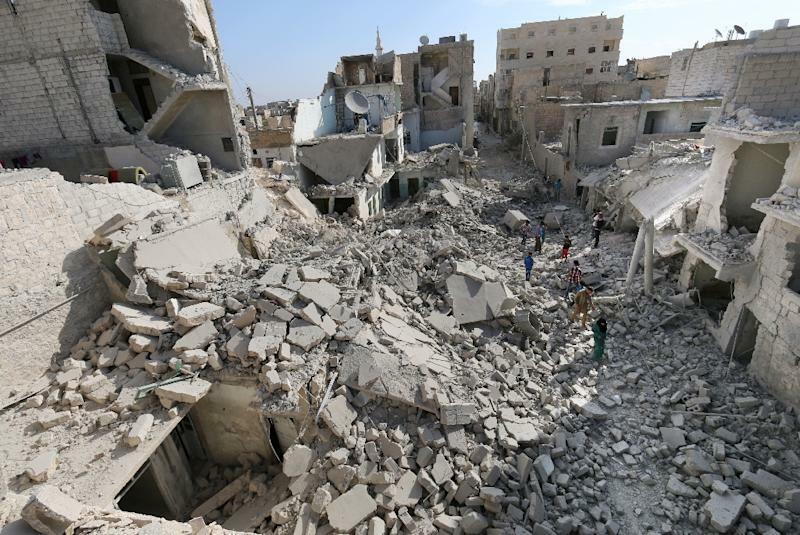 Beirut (AFP) - More than 215,000 people have been killed in Syria in four years of conflict, a monitoring group said on Sunday as the brutal civil war entered its fifth year. The Britain-based Syrian Observatory for Human Rights said it had documented the deaths of 215,518 people in Syria since March 2011, among them more than 66,000 civilians. Some 5,000 people have been killed in the past five weeks alone. The civilian death toll includes 10,808 children, and nearly 7,000 women, according to the group. While civilians accounted for nearly a third of the deaths, the majority of those killed in the conflict have been combatants. On the government side, 46,138 soldiers have been killed, along with more than 30,000 Syrian pro-regime militiamen, the Observatory said. In addition, 3,401 Shiite fighters from abroad have been killed in battle alongside regime forces, among them hundreds from Lebanon's Hezbollah movement. On the rebel side, the Observatory gives separate death tolls for fighters from jihadist and non-jihadist groups. It reported the deaths of nearly 27,000 jihadists, from the Islamic State group and the Al-Qaeda affiliate Al-Nusra Front. It said more than 39,000 other rebel fighters had been killed, but included in that figure Kurdish militia killed battling jihadists in the north and east. It reported the deaths of a further 3,147 people who had not been identified. Observatory director Rami Abdel Rahman said the figures were almost certainly not complete. The death toll "is certainly higher than the more than 215,000 we have recorded because of the large number of missing people whose fate is unknown." He said some 20,000 people had disappeared in regime custody. The fate of many thousands more civilians and fighters from all sides who have been kidnapped also remains unknown. "More than 215,000 people have been killed and the international community remains silent and not a single crime has been punished by an international court," Abdel Rahman said. "This impunity only encourages the murderers to continue their crimes."